Good hearted but not worldly-wise, the roly-poly tax inspector, Bharat Bhushan (Vinay Pathak) is back to fulfill his long cherished dream of becoming a singer. To further his media ambition he enters a game show hoping to win a cash prize with which he can make his own music album. Eventually Bhushan goes on to win the competition which also gifts him a free stay on a cruise ship. It is on this cruise that he meets Ajit Talwar (Kay Kay Menon), an acrid tongue sadistic business tycoon, who is taking sheath on the cruise to flee from the Income Tax department. Close on his heels is tax inspector M.T.Shekharan (Suresh Menon), who is trying to unearth the identity of a financial scamster who has been elusive since long. On the ship, after a string of oddball occurrences owing to a mistaken identity, Ajit Talwar and Bharat Bhushan wind up stranded on a deserted island. It is on the island that Ajit realises what a pain Bharat Bhushan is. His stupidity drives Ajit up the wall. The story from here is how they to try find their way out of the island? Although the plot is interesting enough with scope for humorous situations, both director Sagar Ballary (also credited with the story) and co-screenplay writer (Sharad Kataria) fail to do justice to it like it’s predecessor in executing it. Even the dialogues aren’t that funny and rarely raise a laugh. Even if they do, they are few and far in between. While the first half is somewhat watchable, you wait for the film to actually soon end in the second half. 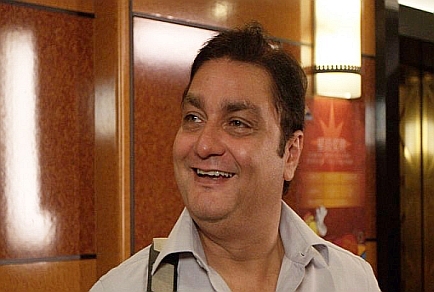 Talking of performances, Vinay Pathak does a repeat act and thanks to a weak script, is not able to deliver what he is capable of. Kay Kay Menon sleepwalks through his role and looks ill at ease. Minissha Lamha’s role is good but her role has nothing to boast of. Suresh Menon is likeable in the initial reels but becomes irritating after a point. Amole Gupte is loud and his character is the weakest amongst the lot. Off the supporting cast, Virendra Saxena, Rukhsar, Aditi Govitrikar, Rahul Vohra, Kishwer Merchant, Amit Behl and Rahul Singh do their job mechanically. Music by Ishq Bector, Sneha Khanwalkar and Sagar Desai is just for the namesake and doesn’t gel with the theme of the movie. Editing by Suresh Pai is patchy and the film appears to be a drag in quite a few scenes. Cinematography by Parixit Warrier has a ‘feel good’ quality to it which is nice. Your ‘bheja’ will be fried even if you keep it at home. Skip this one!